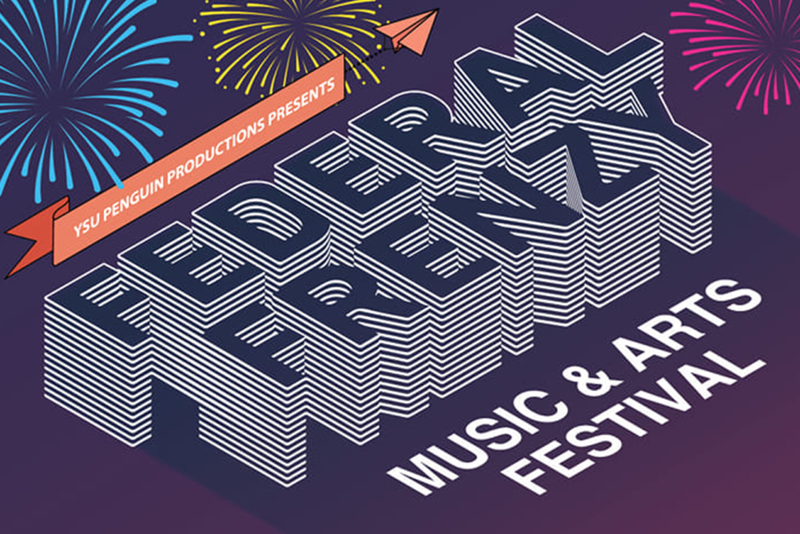 Youngstown State University’s Penguin Productions is working once again to plan and prepare the music and arts festival, Federal Frenzy. In its FIFTH year, Federal Frenzy will take place on April 27, 2019. The event takes over the downtown streets of West Federal and Phelps in addition to various establishments. Outdoors, the committee strives to fill the streets with vendors, live artistry, interactive activities, and performances by regional and national acts. The various indoor venues feature live musical performances from YSU student, faculty, staff, and alumni acts as well as an art gallery featuring the art of the city and activities for attendees to engage in. The event is free and open to the public. With over 6,000 people in attendance last year, it has become a fundamental part of this community’s calendar and an amazing opportunity to connect with the people in our region.